With UPS Mail Innovations® , UPS provides postal services via the USPS®. With UPS operational efficiencies, they are able to obtain better postal rates for customers, while providing transit times that are comparable to First-Class Mail®. If you have a UPS Mail Innovations® contract with UPS, the UPS Mail Innovations® service can be activated within the UPS account preferences of NRGship. 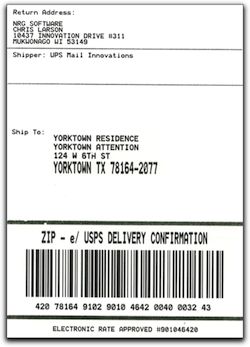 Once input, you will see UPS Mail Innovations® as a shipping service option. NRG charges a fee of $250 to activate the UPS Mail Innovations® Module. 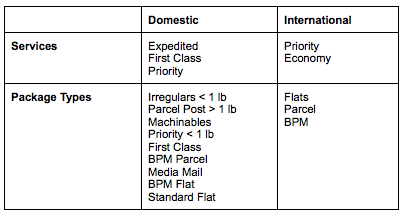 Once setup, you will see a number of UPS Mail Innovations® options for service and package types, refer to the matrix below for further information.